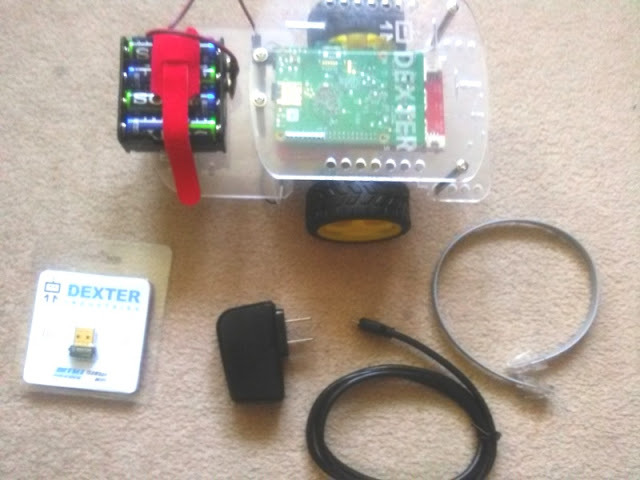 Following up from Part 1 - Body and Brain Assembly, today I will be covering Part 2 of Dexter Industries robot project, which will include connecting the motors, attaching the battery pack, setting up the WIFI connection on the Raspberry Pi, updating the software and testing the functionality of the GoPiGo2 Robot car. 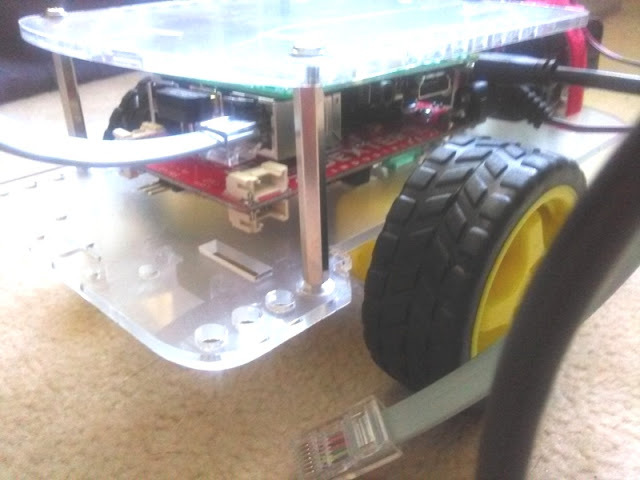 Attaching the battery pack and cable motors to the GoPiGo2 robot car is straightforward. The red velcro strap wraps around the battery pack (I am using 8 SONY long lasting alkaline batteries); while the white and black cables connect to the four metal pins underneath the car. 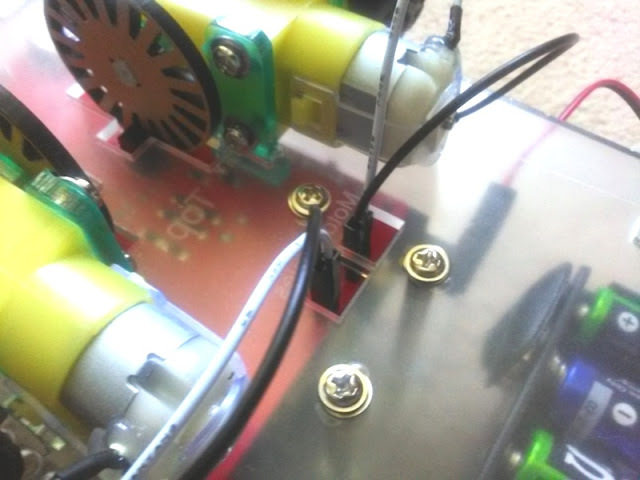 Now that the battery pack is attached is finally time to power up the GoPiGo Robot by turning the switch to the on position. Once powered on, a yellow LED will light up indicating the system is on. The LEDs on the Raspberry Pi will blink telling you the Raspberry Pi is booting up.Once the yellow LED on the Raspberry Pi stops blinking, the Raspberry Pi has finished booting up. 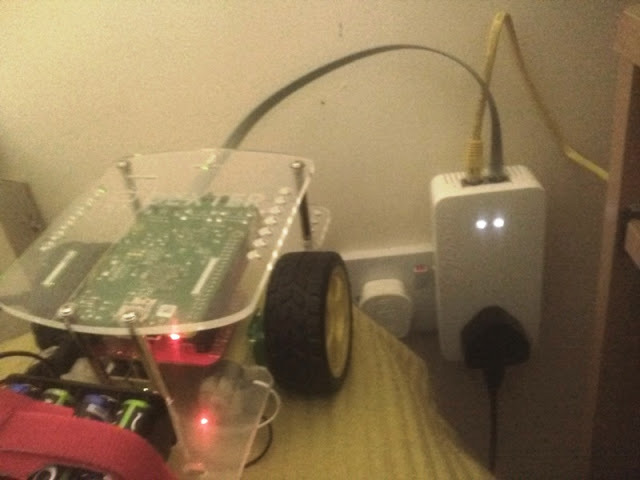 To test the GoPiGo robot car's functionality, it needs to be hooked to a computer using the Ethernet cable, micro USB wall power adapter and WiFi dongle provided. So it's just a matter of connecting the Ethernet cable and WiFi dongle to the Raspberry Pi's Ethernet port and USB port respectively. Then, connect the micro USB wall adapter to the Pi's micro USB port. My set up is slightly different as my computer is connected to the Internet using a DLAN powerline adapter, which actually comes handy as it has two Ethernet ports. 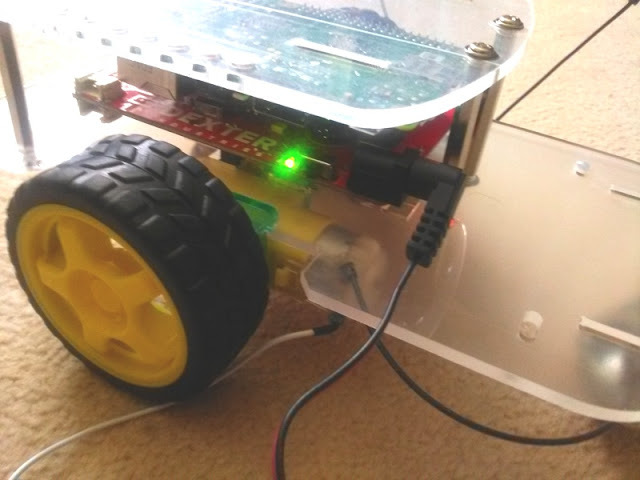 Before setting up the network preferences, you want to download and install Bonjour Print Services to make it easier to communicate with the GoPiGo robot car by calling it by its name (dex.local) rather than using its full IP number. To communicate to the Raspberry Pi wirelessly, we need to set up a WiFi connection. For this, we type in "http://dex.local/" on any Internet browser. Click on "WiFi Set Up" icon. Select "Manage Networks" tab, click "Scan" and select your home's Internet network. Where is says "PSK", enter your home network's password. Now reboot the Raspberry Pi by going to MENU (top left corner) and selecting "Shutdown>Reboot". If successful, you will be able to communicate with your Raspberry Pi wirelessly without the Ethernet cable. The moment of truth is the TEST. To check everything has been wired and WiFi set up correctly, log back into the Raspberry Pi and click "Test and Troubleshoot" icon. Then, select "Demo GoPiGo". 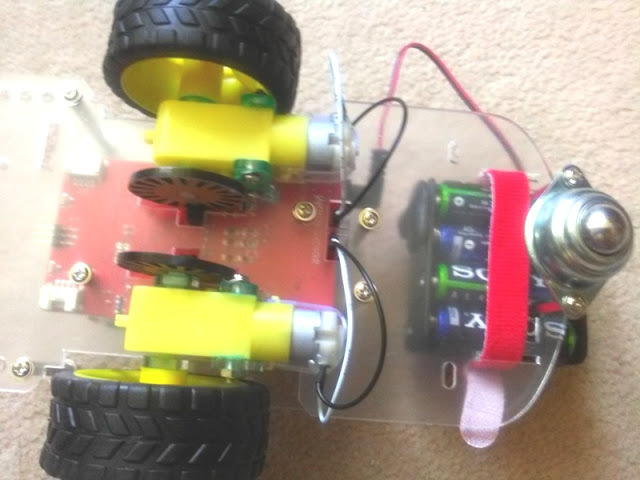 If the robot car moves forwards and then backwards, the connection and programming of the GoPiGo robot car has been a success. Now, what you can do is update everything by clicking on "DI Software Update" and follow the instructions. Make sure to unplug the motor cables when doing software updates. Hope you enjoyed Part 2! 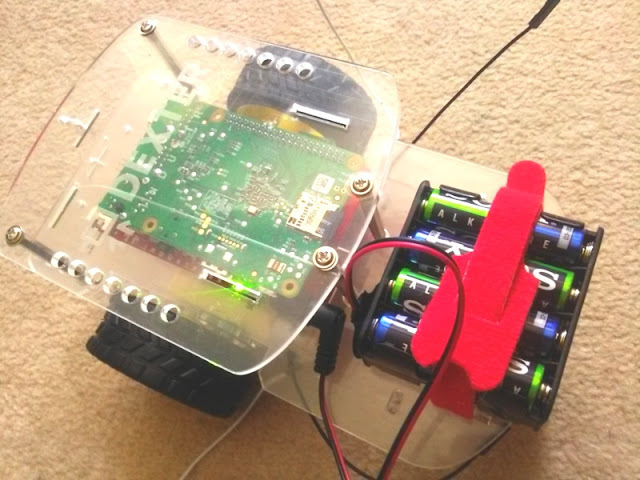 Stay tuned for Part 3 where I will be setting up the servo for the robot car.